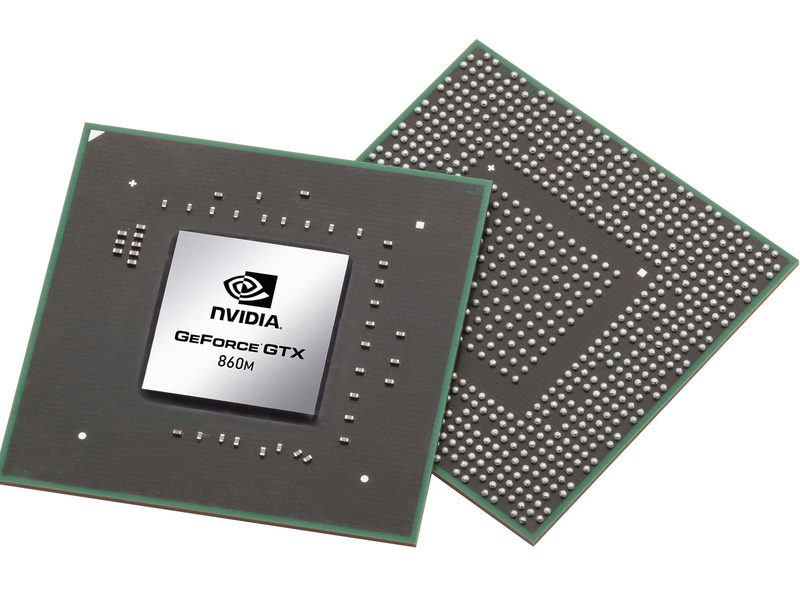 The NVIDIA GeForce GTX 860M is an upper mid-range, DirectX 12-compatible graphics card for laptops unveiled in March 2014. It is one of the first cards based on Nvidia's new Maxwell architecture (GM107 chip), but is still manufactured in 28 nm. The GTX 860M offers 640 shader units clocked at 1029 MHz (+ Boost) as well as 4 GB of GDDR5 memory (128 bit, 5000 MHz effective). Alternatively, there is also a version based on the Kepler chip GK104, which has 1152 shader units clocked at 797 MHz. Similar to Fermi and Kepler, Maxwell / GM107 supports DirectX 11.2 with feature level 11.0 only. Although the GTX 860M has much less memory bandwidth and computing power, it can compete with (or sometimes even beat) the old Kepler-based GeForce GTX 770M while drawing significantly less power. Many games of 2013/2014 (Tomb Raider or BioShock Infinite, etc.) can be played fluently in FullHD resolution and very high detail settings. However, very demanding games such as Crysis 3 or Battlefield 4 will require lower resolutions and/or details. Despite its considerably higher shader count, the Kepler version is about 10 percent slower, mainly due to the worse bandwidth efficiency. The power consumption of the GeForce GTX 860M should be similar to the old GTX 765M (about 60 watts). The low-clocked Kepler version draws just slightly more power. Therefore, the 860M is best suited for 15-inch laptops or larger. The 800M series also supports Optimus to automatically switch between an integrated graphics card and the Nvidia GPU.